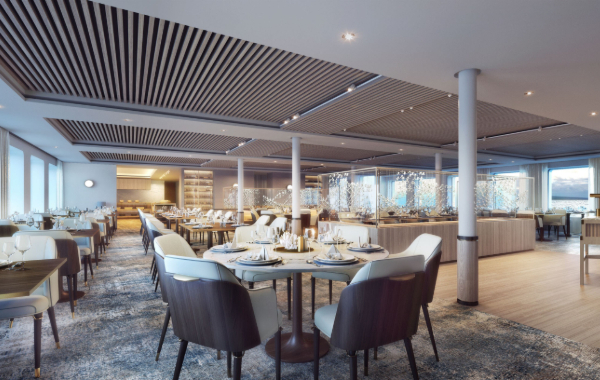 Silversea Cruises has today revealed their first images of Silver Origin, the cruise lines first ever destination specific ship. Silver Origin is set to join the Silversea fleet in the summer of 2020 where she will take over from Silver Galapagos and unlock deep travel experiences on the most elegant ship ever to sail in the Galapagos. One of the most environmentally friendly cruise ships ever and designed entirely with these unique islands in mind, Silver Origin will combine Silversea’s local destination expertise with the cruise line’s trademark level of luxury to offer guests the ultimate destination experience. 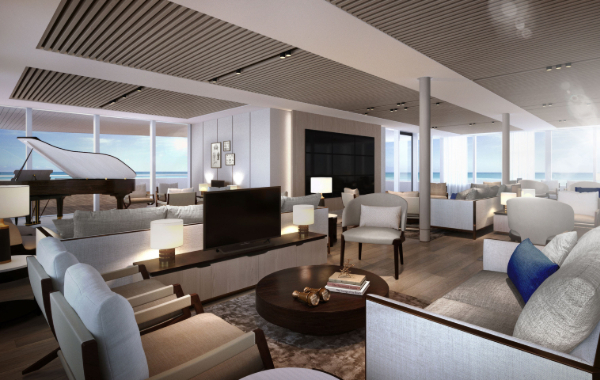 The all-suite Silver Origin will accommodate 100 guests where every suite will feature a private balcony. A first for Silversea will be the introduction of ocean-view bathtubs and showers in selected suite categories, also, certain categories will feature the innovative Horizon Balcony. 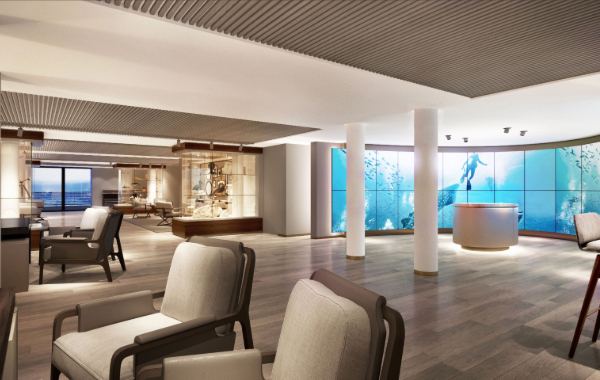 Explorer Lounge: With floor-to-ceiling windows for sweeping views of the destination, Silver Origin’s Explorer Lounge will host daily briefings and lectures from the ship’s Expedition Team. The elegant venue will feature a large video wall and wide HD screens in different seating areas to optimise guests’ destination experience. It will also be a sophisticated space in which guests to relax, with a bar and piano. With Silversea’s all-inclusive approach, guests will enjoy complimentary drinks throughout the ship, including spirits, champagne, and many varieties of wines. 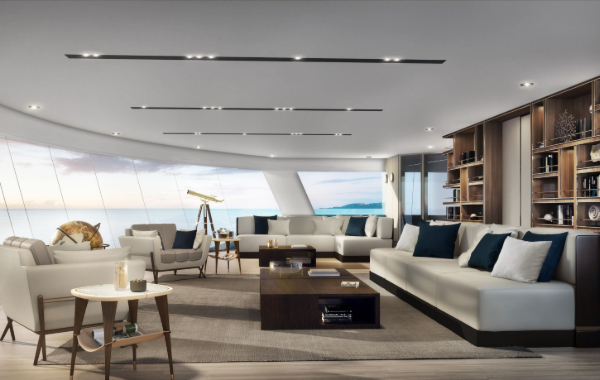 Observation Lounge: Located at the very front of the ship, the beautiful Observation Lounge will offer an elegant hideaway to guests, benefitting from incredible views on the destination. 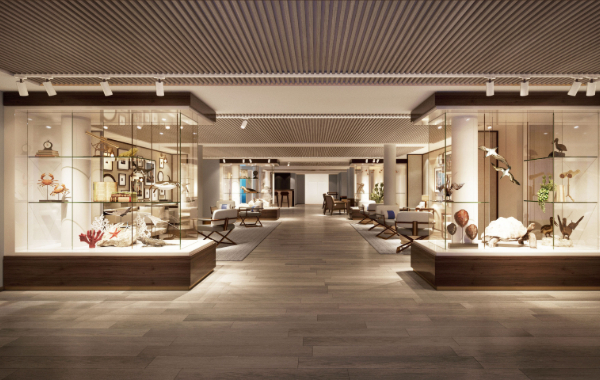 It will be the ideal place for guests to relax with a book from the library, which will be carefully curated by Silversea’s destination experts and will be the most extensive destination-focused collection the cruise line has ever had on one ship. For more information on Silversea Cruises call The Sovereign Cruise Club on 03331 224466, we guarantee the lowest fares on all Silversea voyages.